skēm is a live theatrical performance that transposes purely text-based online communication into a visual music narrative to draw out the power and implications of our online behaviors and communications. The performance is set in an online chat forum centered on Gamergate and uses word sentiment analysis and speech patterns to create the narrative and performance components. The Hashtag Emotion Lexicon was used to cross analyze each word in a given section, scoring the word across the eight emotions. 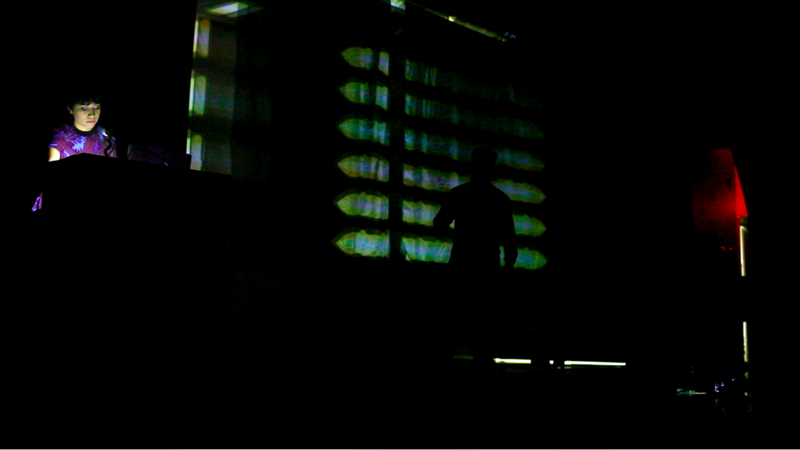 The performance involved an actor, pianist, recorded audio, and animated visuals coded in OpenFrameworks and responsive to the live piano sounds. The video includes a sample of the background sounds developed from the emotion lexicon analysis. skēm utilized text analysis that included both open-source software and self-interpretation. NLTK was able to highlight the main contributors (or characters) to the conversation and what topics were relevant to them at that time (in turn informing the narrative). Excel was used to find the rhythm of the comments and traffic by taking the time difference from the timestamp data. NRC Hashtag Emotion Lexicon was used to determine the tone. When introducing translation as a key construction to a piece, it is inherently connected to interpretation. There is a point or points in which someone makes a decision as to what is the input (text data), what the form the translation takes, and what is the algorithm for the translation. And when using such variably constructed data as human speech, there are equally variable opportunities for the translation to range in how it interprets and makes meaning.